What do you do when your government requires you to do a dirty and suicidal job no one else wants to? 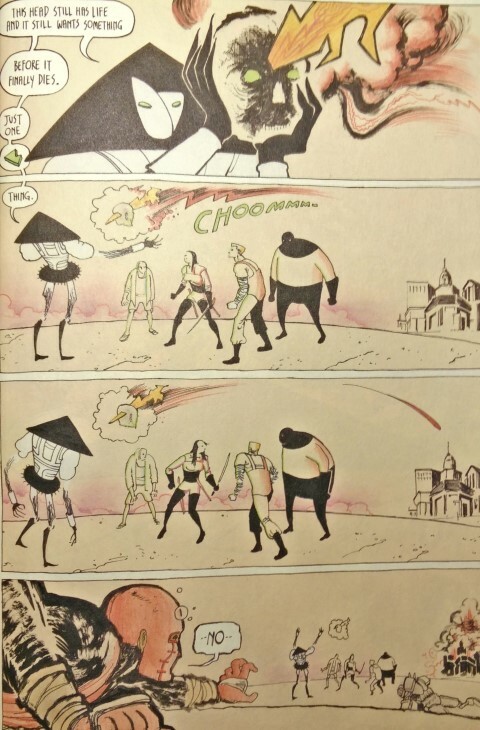 You get a team of superhero assassins and call them Copra. It was Sonia Stone’s job to corral these mean and ugly superheroes. Their last mission was meant to be a simple transport job – to transport a weird alien fragment stuck in a man’s head. That is until they were ambushed by a character named Vitas and his crew, previous member of team Copra. Apparently this alien fragment and its residence had powers of mass destruction. As this altercation took place, an awesome battle left 4 Copras dead, the other 4 barely survived. But not before Vitas was able to utilize the alien fragment to destroy an entire nearby city of tens of thousands of people. Revenge – The remaining Copras were damaged and disheartened, but not enough to quell their desire for revenge. It won’t be easy – Sonia’s team is wanted by the government after being falsely accused of destroying the city. Not only that, their enemy possessed the alien fragment with unbelievable power. Luckily, one of the Copra members, Man-Head, happened to have a piece of the fragment available for study. What exactly is this fragment? What powers does it posses? And how do the Copras find and defeat Vitas and his gang? You’ll have to read the book to find out. But trust me, it’s a good one. There’s something about Michel Fiffe’s writing style and pace which makes this book special. There’s a perfect mix of a first person narrative and dialog between the characters. And the story flows so smoothly between different panels and scenes. It’s no wonder Michel Fiffe is critically acclaimed. The art style, also by Michel, is perfect for this high action thriller. In fact, the whole feel of the book is perfect. It feels like I reached into Michel’s raw sketchbook after he finished drawing and coloring the entire book. Penciled and outlined with a black marker and filled in with colored pencils and colored marker. There’s also a lot of pastel but it matches nicely with the flow. This absolutely gets shortboxed. 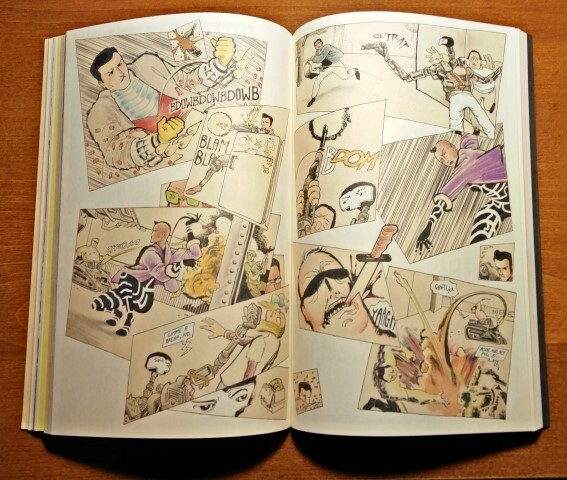 Copra Round One is my favorite read of 2015. Michel started self publishing the series in 2012 with monthly copies selling out. After his book became extremely popular in early 2014, he started writing for Marvel’s All-New Ultimates. 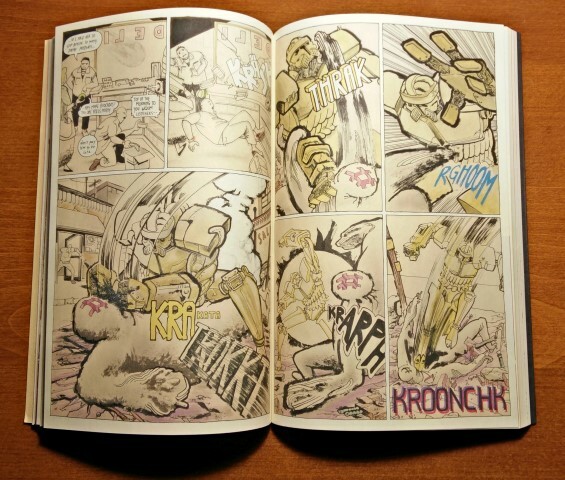 He still continues writing Copra, with Round Two set to be released this January. I’m looking forward to the next volume, and there’s going to be six volumes. Can’t wait! You can get Copra at your local comic shop or book store. It’s also available online on amazon.com.